This scanner does NOT scan directly to a PC via USB cable. You use the MF controller and scan to a network location via the ethernet port. Limited Two Year warranty with parts replacement. 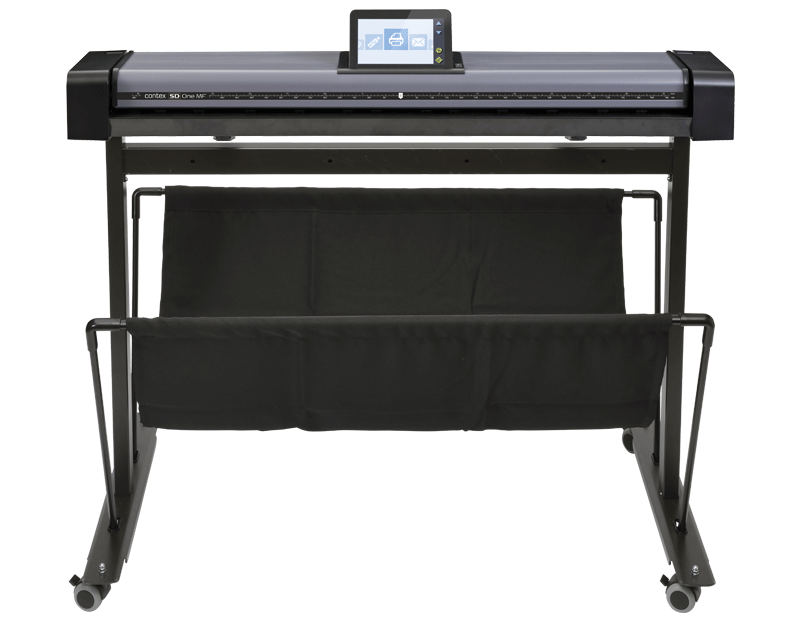 The Contex SD One MF are a desktop large format scanner with strong features. Save space and time scanning oversized engineering and construction drawings in-house. Centered around you, not your scanner. Individual user profiles allow easy use by the entire team. Set up once, remember forever. Many businesses find it convenient to be able to move their scanners around the office, close to archiving equipment or printers, for example. The compact, lightweight SD One MF fits into small spaces, is very easy to transport, and can be shared across you network, so you can use it from any location. 24" Weighs 19 Lbs. 36" Weighs 25 lbs. makes SD One MF easy to both set up and use. Save money on ink and media.No need to print before you mark-up your document. 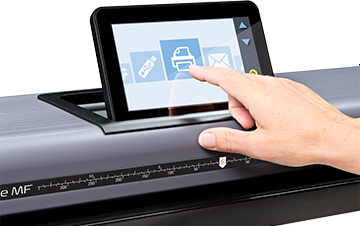 With a touchscreen the size of a tablet PC, you can make changes to your document right on your scanner. Ready to share or save. Securely scan and share in one step. Available from iTunes, rainforest365 app takes personalization, collaboration and ease of use to the next level. MF 24: 32.2 x 8.9 x4.9 inch - 21.1 lbs. MF 36: 45.8 x 8.9 x4.9 inch - 27.2 lbs. MF 44: 53.1 x 8.9 x4.9 inch - 31.1 lbs. 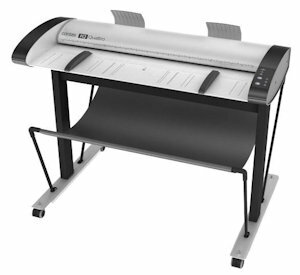 Scanner (24", 36" or 44" model), 6' Ethernet cable, external power supply, installation guide, calibration poster, calibration sheet and cleaning cloth. Scanner speed while scanning 36-inch wide document. For the SD One Series, these models include a 2 year Parts Warranty. This means you will be sent the parts and YOU will perform the repair. A two year on site warranty is available for $845. Call ScanTastik for more details.